Drishtee Immersion is an ethical social enterprise connecting communities with socially ambitious university students . Our unique 3-week experiential learning program, live in a village, learn local culture/language, then embark on deep exploration of perspectives to community needs in health, livelihood, water and more. Empathy empowers student/community partnerships for social impact! We are a global mobility program specialising in experiential learning, empathy, social innovation and community empowerment. We connect rural communities with university students for empathy empowered social impact! Be a guest of an incredible village in India! Drishtee Immersion partners with rural communities who self-select and volunteer to develop fresh perspectives on local needs. Students are welcomed as guests, staying in our fully equipped house within the partner village. After adjusting to rural life, students feel a valued member of the community, spending days with motivated individual community partners, exploring society, culture and the realities of village life. Community hosts regularly tell us that spending time with students “is like welcoming a long lost family member”. These are genuine, heart-felt connections that will inspire and challenge perceptions of humanity. Drishtee Immersion brings together likeminded people, motivated to create positive change in their world. Despite converging from all corners of the world, with real empathy it is possible to foster understanding of people, their needs and aspirations. To achieve this difficult task we utilise world-leading methods that guide cross-cultural empathy, self-development and shared sense-making. All of this leads towards positive actions, determined by community, which leads to important positive change in partner villages. Not only that, participants often report that learning advanced applied empathy helps them feel more human again. 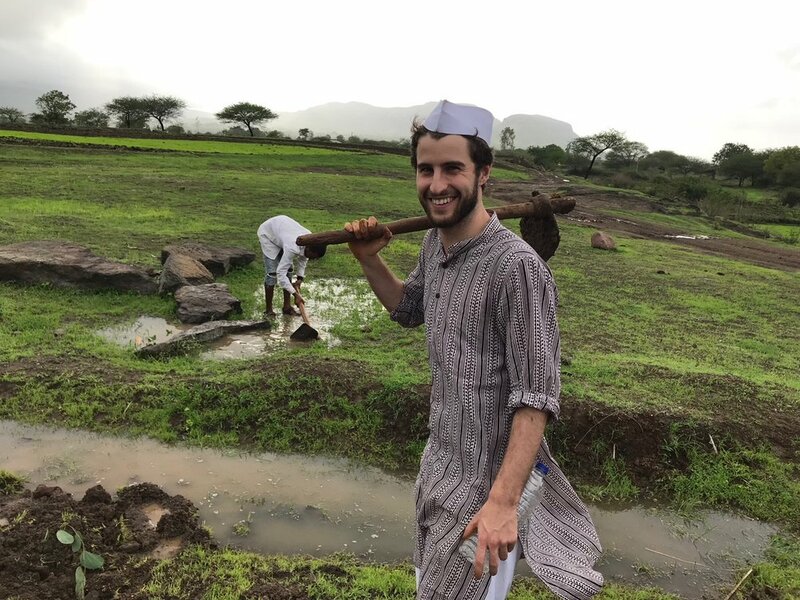 With Drishtee Immersion university students from all academic disciplines have the opportunity to explore and plug into their existing skill-set in-line with a myriad of community needs including health, livelihood, cultural identity, youth engagement, agriculture, water and many more. Students have the opportunity to learn advanced capabilities in human-centred innovation, sustainable development, social impact and more. Not only that, by using empathy as the foundation, students have the chance to understand more about themselves, discovering new capabilities and passions. The experience is authentic, inspiring, relevant, self-driven and even transformational - the way global experiential learning should be! The efforts of student/community collaborations are carefully interwoven with community ambitions. The Drishtee Immersion team is not remotely based in a distant city or foreign country (unlike many global learning organisations!). We have a wonderful team of local and international professionals permanently based within partner communities. We are long term guests, respectful partners, and trusted neighbours. All year-round our team continues to support community-led actions (e.g. water, health, livelihood, women’s empowerment and more). See current student program opportunities here! Drishtee Immersion was created with a unique India/Australia collaboration between sustainable rural development expert Satyan Mishra (Drishtee) and empathy expert Nathan Wiltshire (University of Technology Sydney & Empathy Experiences). Our approach to sustaining is aligned with world-leading ideas of Nobel Laureate, Prof. Muhammad Yunus, a not-for-profit business with the sole purpose of creating social good. We are 100% dedicated to this by fostering empathy between rural communities and the world to empower positive social actions. With this we do not take charity, neither pay large salaries, profits or dividends. The revenue from student participation sustains operations and funds social impact actions in partner communities. See more in social media..